Our mission and objective is to prevent millions of child deaths caused by waterborne disease prevalent in surrounding water sources. We work to ensure that children in remote villages, homeless shelters and disaster affected zones get access to clean water. We provide our bottled water to charity organizations, disaster relief services and water filter straws to children in remote villages. The lack of safe drinking water in undeveloped countries kills children on a daily basis, our focus is on introducing and implementing smart water-filter solutions for children surrounded by contaminated water as their only water source. According to the World Health Organization..
4,500 children die daily due to contaminated water in Africa. Is to provide water filter straws to children in remote villages. Is to provide needed purified water to food banks & homeless shelters. Is to provide purified bottled water to disaster relief agencies. 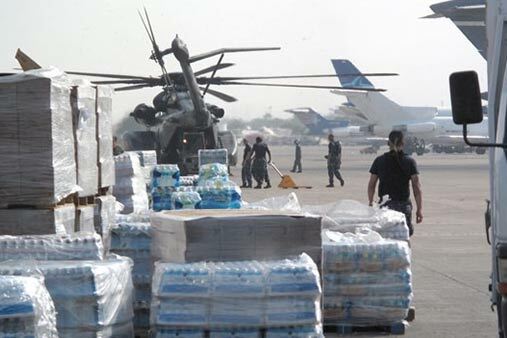 "We deliver bottled water to enable access to clean water for people in need and disaster impacted zones".